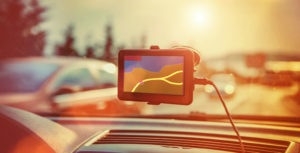 IIB Insurance » News » Company News » IS YOUR SATNAV ILLEGAL? Satnavs have become a staple for modern drivers. They give directions, offer shortcuts based on live traffic reports, and get us back on the road when we’ve turned off at the wrong junction… just us? But whereabouts on your car windscreen should it be positioned? According to Greater Manchester Police’s traffic unit, there is only one ‘correct position’ – and that is at the bottom right hand side of the windscreen. They confirmed the location on Twitter, before responding to users’ queries about other placements by confirming that it must not obstruct the driver’s view ahead. As stipulated in the Highway Code, windscreens and windows “must be kept clean and free from obstruction to vision.” There is no actual legislation that states where the devices should be located, but their placement should follow this code. You’re unlikely to get pulled over unless the device is seriously hampering your view – but placing it out of your general view is a sensible precaution to avoid accidents. Are there any other rules relating to my satnav? Yes! You could get in trouble for using (pressing buttons, changing destination or settings) your device while driving. Set it before you leave, or pull over to make changes. You should also make sure wires do not trail across the steering wheel or handbrake. Remember to account for the size of the vehicle you are driving – your satnav won’t know if you are towing a caravan and may plot a route with sharp corners. 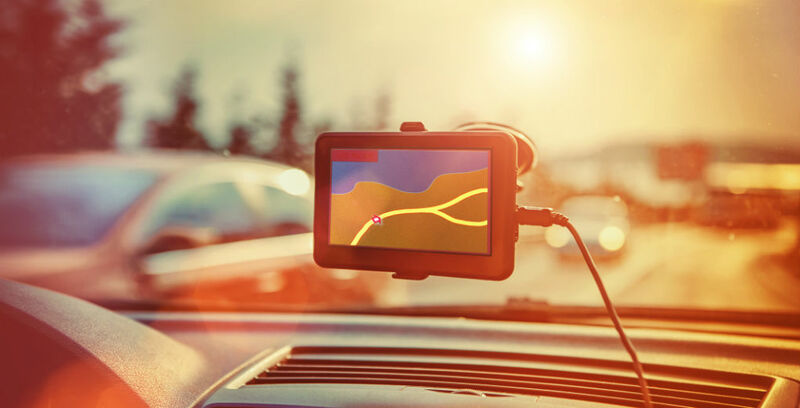 Listen to your satnav rather than watching it, keeping your eyes on the road, and regularly update your device to make sure it is aware of all new road layouts, roundabouts and speed limits. In the event of an accident, you can’t blame your satnav as you are still fully in control of your car, and responsible for your driving. Independent Insurance Bureau Ltd is authorised and regulated by the Financial Conduct Authority under registration number 309515.